It sounds like hiring a structural engineer is a good idea. We want to buy a custom home in the near future, and this is something that’s crossed our minds. If they can really help us build the strongest building with the least amount of material, we’ll look into it! Thanks for going over some of the benefits of getting a structural engineer. I’m glad that you mentioned that they can tell you how much structure you will need. I’m interested to learn more about some different factors that they consider when coming up with the measurements, depending on what the project is like. Thanks Taylor, good question. It depends a lot on what the structure’s for and where it is. But very generally, one thing would be the size and shape of spaces required inside will have a big impact (i.e. bedroom vs aircraft hangar). Secondly might be the the forces that are expected to act on the building – the weight of it and what goes in it, expected wind speeds, temperature range, thickness of snow, seismic activity, any machinery that may cause vibration etc. But there’s actually lots of other factors as well such as durability, site access, availability of materials and labour to build it as well as whether the design needs to account for certain accidents that may occur (fire, gas explosion, vehicle impact, terrorism etc.). I know there’s lots of other things I’ve missed out but that gives a feel for it I hope. Hi Becky, I just went over to the other blog as well, your writings are absolutely beautiful and touch my heart everytime I read them. (they always bring a smile to my face or a tear to my eye as well). I can’t thank you enough for sharing the storey of amazing Sarah and the incredible family that she has right there beside her. Sarah is one lucky little lady and you are an incredibly awesome family. (the picture of you and sarah is soooo nice, I just love it). Hi Russell,We have updated the app to version 1.2 which contains an update for the live tile. There was an issue regarding threading when generating the LiveTile image.The realtime.txt text is very easily fetched with a HtesqebReWutpt then we parse the data from an Array. There will be an update utilizing the xml-standard from the Cumulus Weather station in the future. I remember doing engineering activities in my physics classes similar to the activity listed in the article. I made a bridge out of tooth picks and had to test its weight capacity. 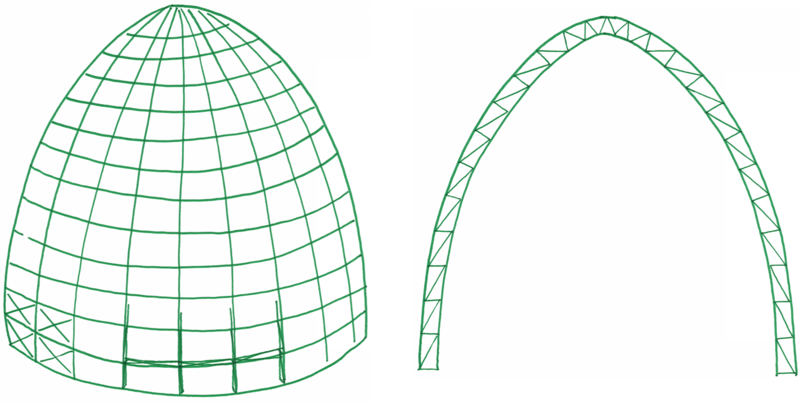 It’s really cool that the students were able to use a series of ten arches to make a dome and use trigonometry on those structures to see what the best shape would be. It seems that having an engineer helping with the calculations and planning on a building would be a great asset for any building project. Thanks Tomas, glad it brought back happy memories. tweeted about this give away…under EL2A;_MIE&#8L30EI tried to leave the link here so you can see it but your comment section will not let me!! !ELLIE recently posted.. I agree that there are many benefits to hiring a structural engineer who can use a more scientific approach. Their long term plans can often result in a more quality structure for you. I also think it’s wise when designing some kind of structure to plan for future maintenance needs, or even material replacements. With more efficient materials, hopefully this happens less often, but time still takes it’s toll on all materials. Thanks Bernard. That’s a good point you make about maintenance. I have always been curious about how structures get their design and wanted to learn a bit more about them. It’s interesting that they actually can tell you exactly how much structure you need in a scientific aspect. Since you are trying to make it now fall over, it would be nice to hear what you need from a professional. Thanks for your comments, glad you found it interesting. Yes it’s a key part of the job of being a structural engineer to assess it scientifically. You could test the building by making a replica and testing it to destruction, but in most cases that would be too expensive to be practical. Professionals will also help you get the regulatory approvals and balance the design with all the other requirements (architecture, fire engineer design, lighting design, civil engineering drainage design, landscaping architect etc.). I appreciate the information on why you should have a structural engineer. I agree that it is important to ensure that you are doing things right when it comes to your biggest investment in life and that hiring a structural engineer can help you to do that. My mom is looking into building a custom home, I will be sure to share this information with her. Thanks Ben, sounds like an exciting project! Great question! It would be worth him getting some proper business advice. In the UK, my experience is that medium-size construction companies might have a structural engineer for temporary works, but only large firms might consider having a structural engineering department. I think it depends partly on how much work you’ve got, whether you’d be able to keep them busy. Out of interest, where is your cousin’s firm based? If he’s looking to employ a structural engineer might be able to recommend someone.